, wife to the preceding, was born at Padua in 1562, became an actress of great fame, and was flattered by the applauses of the men of wit and learning in her time. 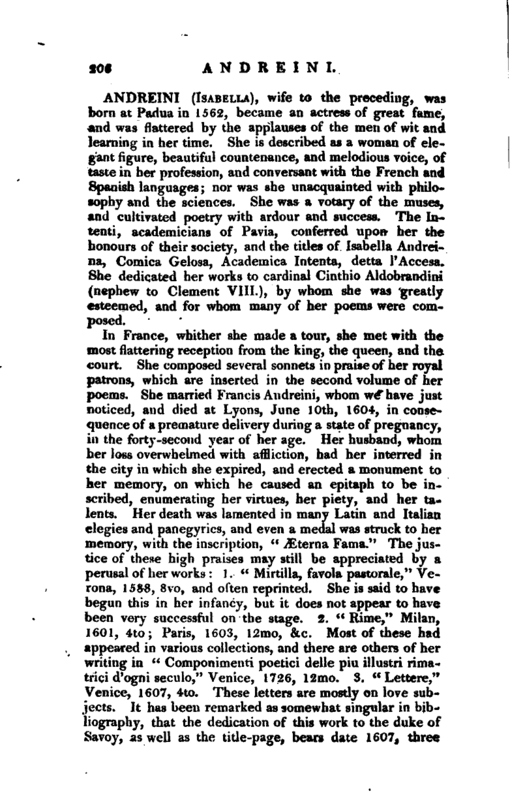 She is described as a woman of elegant figure, beautiful countenance, and melodious voice, of taste in her profession, and conversant with the French and Spanish languages; nor was she unacquainted with philosophy and the sciences. She was a votary of the muses, and cultivated poetry with ardour and success. The Intend, academicians of Pavia, conferred upon her the honours of their society, and the titles of Isabella Andreina, Comica Gelosa, Academica Intenta, delta l’Accesa. 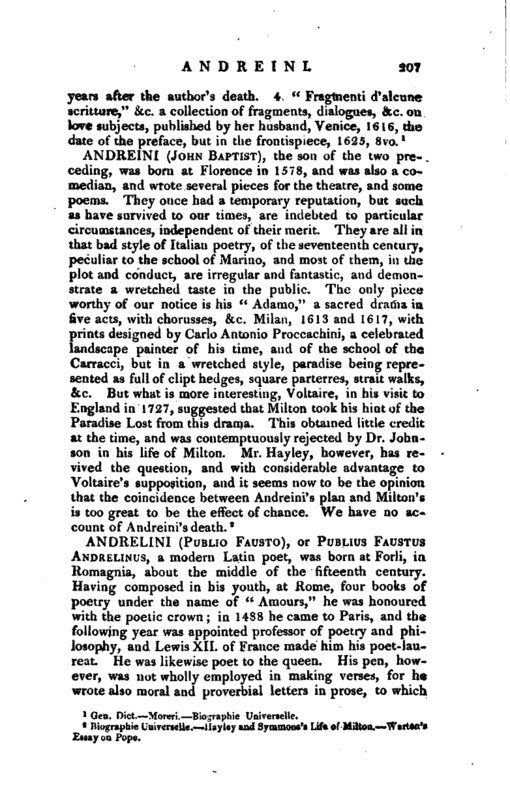 She dedicated her works to cardinal Cinthio Aldobrandini (nephew to Clement VIIL), by whom she was greatly esteemed, and for whom many of her poems were composed.